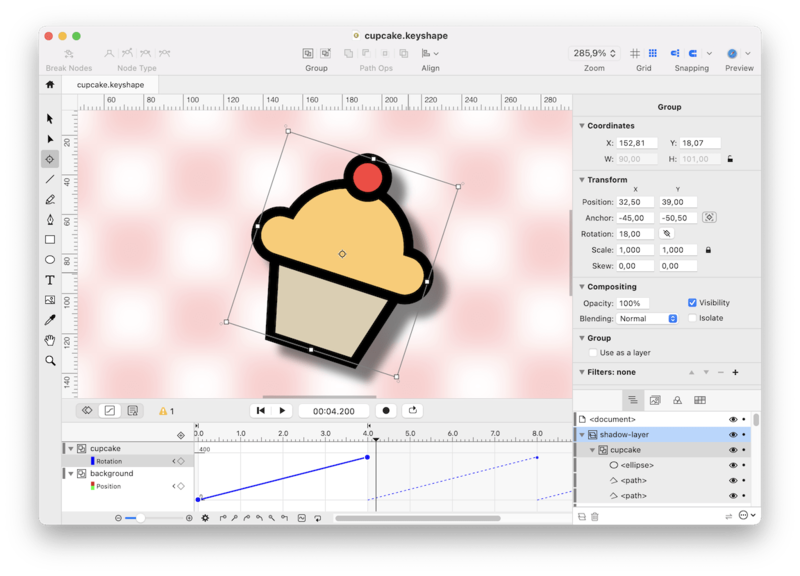 Keyshape is a 2D vector graphics and animation software. It combines drawing tools with animation tools in a single application. Design animations for micro-interactions, such as checkboxes and radio buttons. Create motion graphics for splash screens, onboarding, progress indicators, and more. 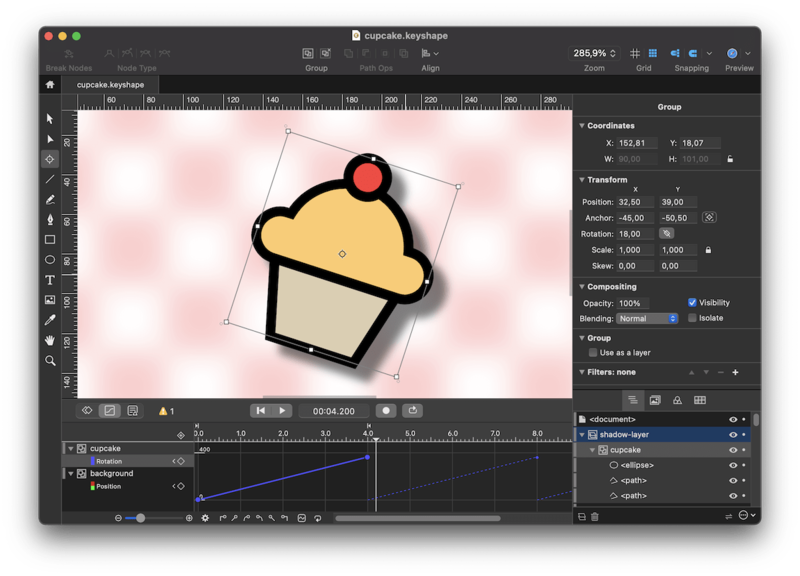 Draw vector graphics with standard vector tools. Create timeline-based animations with keyframes. Keyshape requires macOS 10.11 El Capitan or later.